Art exhibits of direct or indirect political commentary are fairly rare in the Metro except for the occasional one seen at such alt venues as Petshop in Benson or Project Project on Vinton Street. That may end thanks to the pending inauguration of a certain president elect this Jan. 20. As a point of fact it already has. Credit painter Robin Zagurski for curating the first show of its kind in the 1301 Gallery of the Hot Shops Art Center, currently on view till Jan. 29. 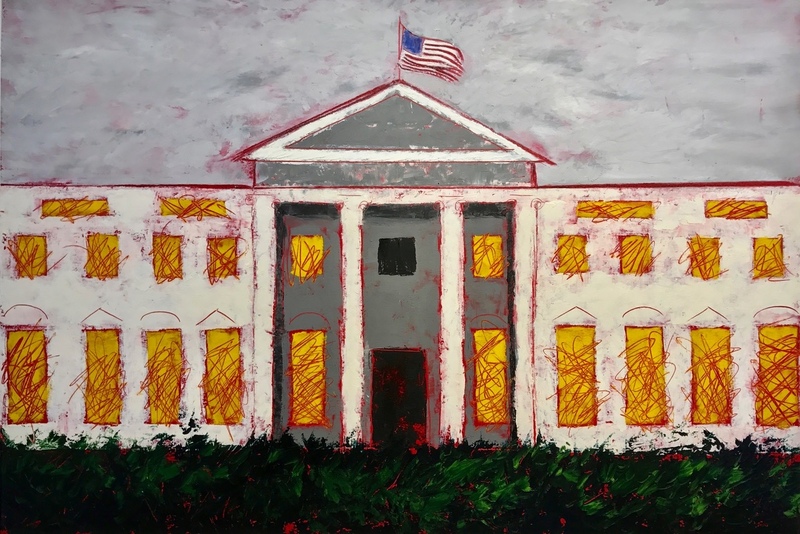 Painter Zagurski invited a group of no less than 15 concerned citizens, women artists exclusively, to respond to the presidential election in the medium of their choice and corresponding point of view. The result is In the Court of Art: Women v. Trump, an exhibit which should leave no doubt that there was much on their minds and material to work with given the protracted volatile and provocative campaign and debate. Working in a range of media that includes metal sculptures, paintings, textiles and mixed media pieces, the artists, including a high school student, exhibit works that illustrate and interpret their feelings and concerns that range from outrage and fear to doom, prognostication and rejection. In short, the Donald does not generally fair well In this people’s court. In the Court of Art, which features an artist reception a week from Saturday, the day after the inauguration, from 6-9 p.m., includes the following participating artists: Tasha Abourezk-textiles, Kristine Allphin Brakenhoff-batik, Lori Elliott-Bartle-painting, Norm Foureva-mixed media, Allison Harris- painting, Linda Hatfield-pyrography/painting, Darcy Horn-mixed media/beadingm and Kris Khan-textiles. Also featured are Diane Mattern-metal sculpture, Kristi Pederson-mixed media, Jennifer Radil-mixed media, Jacquline Michelle Smith-mixed media, Dorothy Tuma-mixed media, Roxanne Wach-mixed media and Zagurski-painting. 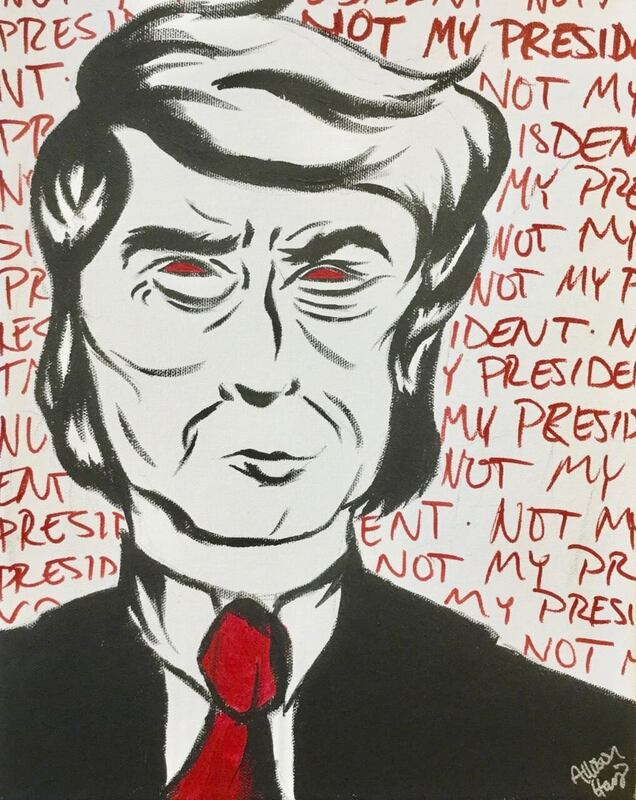 In the Court of Art: Women v. Trump continues till Jan 28 at Hot Shops, 1301 Nicholas St. with an artist reception, Jan. 21, from 6-9 p.m. For more go to hotshopsartcenter.com.